Do you guys constantly struggle with getting your foundation to actually stay on your face the entire day? Then you guys should definitely keep reading to learn my top three pro tips for getting your foundation to actually last all day long. Also, make sure you guys enter to win my MAKEUP CONSULT GIVEAWAY CONTEST that also comes with a personalized shopping guide and more. 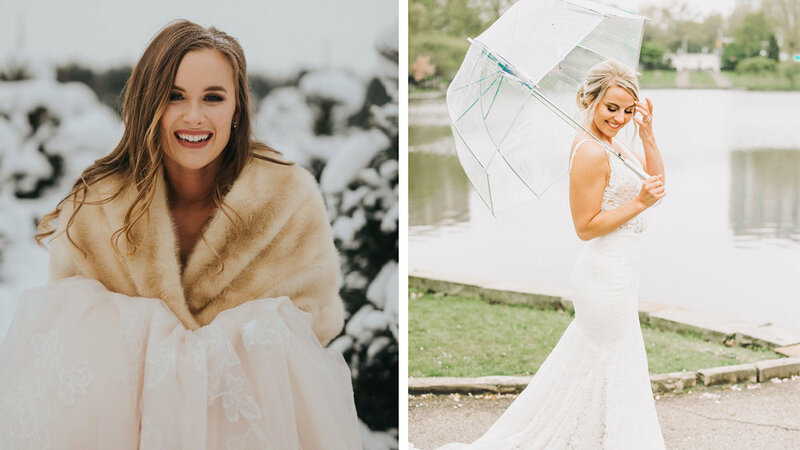 Because I've been specializing in bridal makeup for about five years now, I have to know how to keep makeup completely budge-proof all day long, through 90 degree plus heat as well as torrential downpours, awful humidity, whatever you can throw at me in Ohio, I can take care of it! Whether you're using quote/unquote actual primers, or you've just really dialed in your skincare routine, it is so essential before you begin makeup application. This could not be more true, especially if you are a dry skin type. Washing your face is not enough to keep your foundation on throughout the day. You're going to notice that your skin is going to start flaking up because it's so dry, and when you actually put that foundation on it's irritating it. You definitely want to make sure that you follow through with a full skincare routine that actually includes moisturizer and other products that really add additional moisture to your skin. I recommend a skincare routine that includes cleansing, and definitely exfoliating your skin. You want to do it up to three to four times a week if your skin can handle it. You also want to make sure that the moisturizer that you're using is a nice, thick moisturizer because it's going to continually give you moisture throughout the day as it sinks into your skin and starts working its magic. If you want to use an additional primer on top of the skincare routine, for dry skin I highly recommend it and I actually love using the Smashbox Primerizer. It is just a great photo-finishing but super moisturizing primer, that really just does the trick and helps the foundation to glide on seamlessly over the skin. If you are oily, I recommend about the same skincare routine. The only thing that I would do different is I would not use a thick moisturizer because that would be way too much for your skin. I would get a moisturizer that's geared towards oil control. For any clients that I have that are super oily, again, I like adding in additional primer to their skin before I put on any kind of makeup. 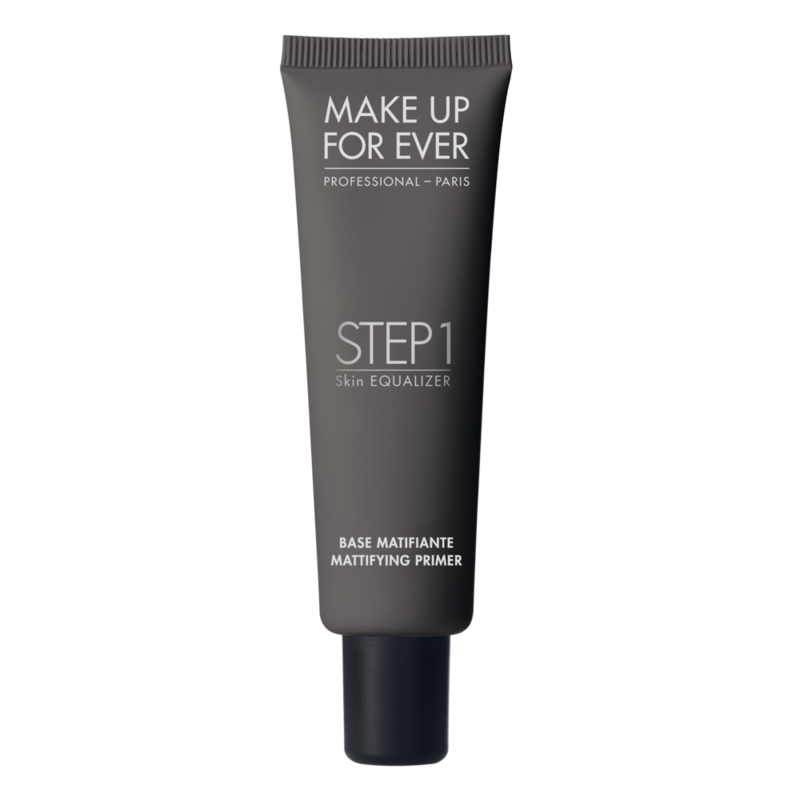 I love using the Makeup Forever Step One Mattifying Primer. I love it because it smooths over the skin and hides those pores, especially around the nose area and the forehead. It does an amazing job of controlling the oil. I mean, this stuff will soak up any kind of oil that's on your face! No matter what your skin type is, I think everybody benefits from using a face powder to set their foundation. If you have normal, combination, or oily skin types, I really love using the Cover FX Perfect Setting Powder. I love this powder to not only set my foundation with, but I love setting my concealer with it, so that when my natural oils start coming to the surface it doesn't slide around on my face throughout the day. My blush, my bronzer, my contour, they all glide on and apply so much better when I actually set my cheeks. If you are dry, you can definitely still use face powder, just make sure you use a little amount. A little will go a long way with you. You definitely want to make sure you at least set in your under eye area because that will ... I feel like no matter what your skin type is, slide around throughout the day. You definitely can also benefit from using a face powder that has more of like that illuminating effect, so it makes your skin look more awake and alive. I love using the Hourglass Ambient Lighting Powders just for that. I honestly kind of finish all of my clients off with those powders because it just gives you that glow from within that's so gorgeous. Wouldn't it be fantastic if we essentially had a hairspray for our face? We in fact are in luck because we do have a magical thing called setting spray. Setting sprays might be one of my favorite makeup products, which is kind of odd but it truly is one of my favorite makeup products. Honestly, it's kind of one of my secret key products for actually helping mine and my clients' makeup stay on all day and look super fresh. Once you spray your face after you're done with all of your makeup, it soaks all of the powder into your skin. You wont have that cakey, fake powdery look throughout the day. What I do is I take the spray and I just start spraying it all over my face, just letting it air dry naturally. For basically any skin type, I absolutely love the Urban Decay All Nighter Setting Spray. It's a cult-classic spray for a reason. It also crazily extends the life of your makeup throughout the day. Urban Decay also has an oil control version too, so if you're super oily I would probably recommend that one over the All Nighter. Now you guys know my top three techniques on how I actually keep foundation on myself as well as my clients all day long. I'm sure you guys at this point want some kind of a shopping list or some kind of direction to go to actually purchase all of these things for yourself so you can use them on yourself. That's why I'm doing the free 45 minute Skype consultation with myself. The link is here for you guys to enter. This will include everything that we've learned over the last four weeks, plus also providing you with a personalized shopping list that you guys can take with you the next time you head out to Sephora or ULTA, or even if you guys shop online. Best of luck to you guys, thank you again so much for entering and I will be talking with one of you guys very soon! Also, feel free to join my amazing community of like-minded women in our exclusive Facebook group. We chat and ask questions weekly about beauty, makeup, and self-care related topics. We all have one another's backs, as well as we can lean on each other when it comes to navigating the sometimes really really tricky topics. If you guys would like to watch the whole video, scroll up and click on the video at the top or check out this link here! Comment down below #SimplyMakeup if this post helped you out in any way, shape, or form! Thank you again so much for joining me today. I hope I helped answer any of those burning questions you have about keeping your makeup on all dat long. I will catch you guys in next week’s post. We are done with the foundation series and we're going to be moving on to something ... I don't know. We're going to be moving on to something fun and festive for the holidays next!